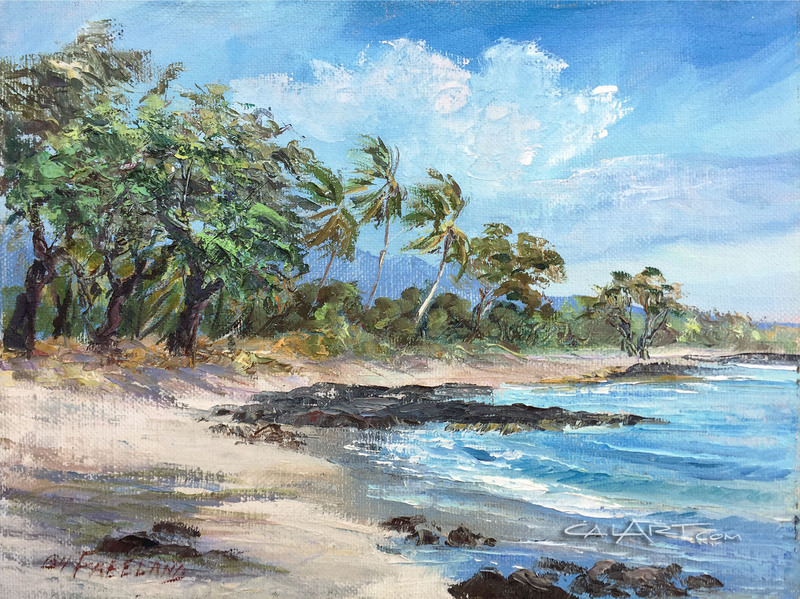 One of Hawaii�s most highly regarded artists, Betty Hay Freeland (B.H. Freeland) was born in Kohala, on the Big Island of Hawaii. Betty graduated from Punahou School, attended the University of Colorado, and continued studies in New York City. Returning to the islands in 1963, Betty Hay began exhibiting her work on Oahu and Maui in 1969 and has continued painting and exhibiting since then. B.H. Freeland is active in the community, having served on a number of boards of non-profit organizations, presently on the board of the Friends of Moku'ula, Lahaina, Maui. Impressionist painter, Betty Hay Freeland's family history dates back to the days of the monarchy to include a great-grandmother who was half-sister to Princess Kaiulani and a great-grandfather who was appointed the first governor of Hawaii. Betty Hay's perception of Hawaii is unlike that of any other artist. With 100 years of Hawaiian heritage Frelland's paintings share a perspective of her Hawaii, rich in natural beauty and splendor. Many of her works provide a view into an untouched Hawaii. It's been said that her value as a chronicler of a passing era is inestimable.